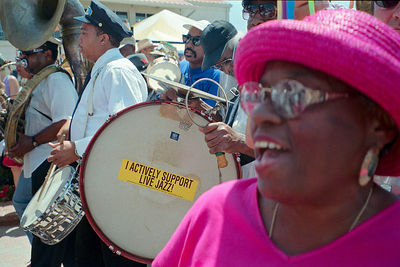 A mix of African and European traditions, a jazz funeral is a slow musical procession that celebrates the transition from this life to the next. 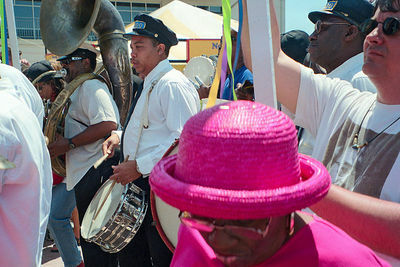 A jazz funeral normally accompanies a casket through the streets of New Orleans. 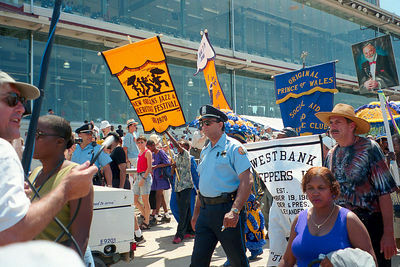 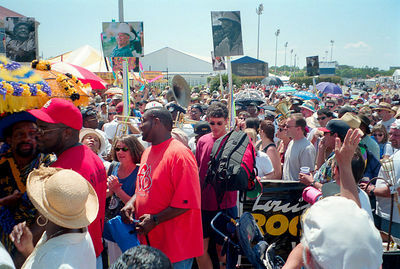 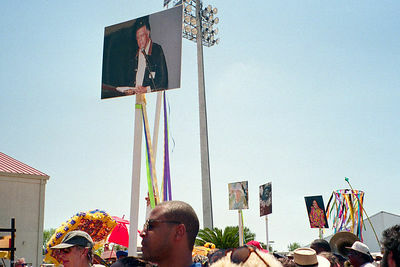 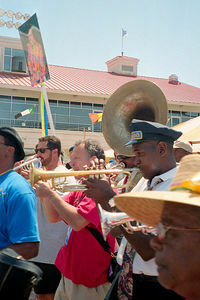 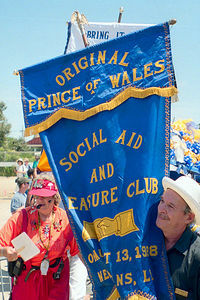 This jazz funeral solemnly wound its way through the 1999 New Orleans Jazz Festival fairgrounds in honor of jazz musicians who had recently died, such as legendary trumpeter Al Hirt. 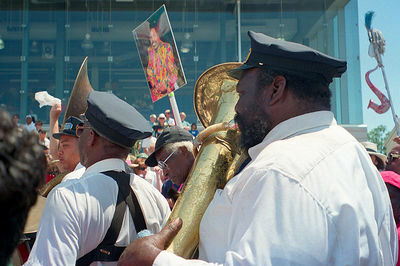 This gallery is dedicated to the City of New Orleans, including those who have suffered great losses due to the 2005 hurricanes and also those who are now working to help take New Orleans to its next, new life.